Since 1998 Keep America Beautiful has staged a nationwide, volunteer based, community improvement program. During the Great American Cleanup (March-May) affiliates, such as Keep Pinellas Beautiful, rally together volunteers to cleanup parks, public areas and waterways. Nationwide, this program gathers over 3.4 million Americans to educational and litter-free events to help improve and preserve our country. Please join our country-wide cleanup and help us keep Pinellas beautiful. Click here for more information on sites near you! Don’t see a site in your area? Complete our Community Project Inquiry Form to schedule a group cleanup. One of the greatest threats to the health of our shared waterways lies in the pollution that flows through it. Through our efforts, we can tackle this very real, very dangerous, and unending problem. We strive to alleviate these issues through community cleanup efforts and educational initiatives about the impacts of litter. 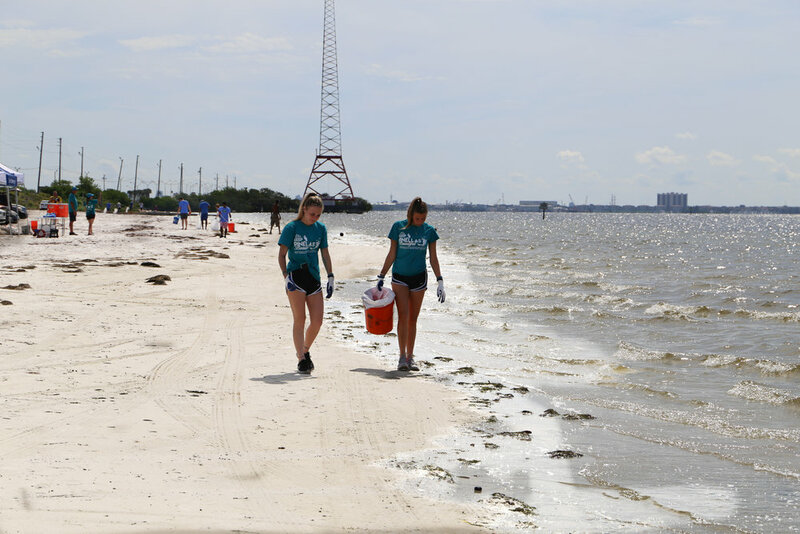 Each year in partnership with the Ocean Conservancy, we coordinate the International Coastal Cleanup (September - October) at sites throughout Pinellas County with our dedicated site captains, volunteers and team members. We invite you to join our efforts! Click here for more information on sites near you.